Hotel Eagles Nest, Bharatpur  Hotel Eagles Nest is located on the Bird Sanctuary Road near Saras Circle. The main Bharatpur Market is very near to the Hotel. It is an economy class Budget Hotels hotel with both bus stand and railway station within 5 kilometers away. Nearest airport to the hotel is at 55 kilometers located in Agra. The hotel is just 300 meters away from the entrance gate of the Bird Sanctuary. The rooms at the hotel are fully furnished and come with balconies. There are Non AC Deluxe Rooms and AC Deluxe Room. 24 hours running hot & cold water is there plus room service. The restaurant at the hotel serves continental, Indian, and regional food. On request there is availability of doctor, lounge services, campfire parties, bird sanctuary tours & guides and transportation. Banquet Facilities, Doctor on Call, Restaurant, Travel Counter, Currency Exchange, Family/Child Friendly, Room Service, Backup Generator, Baggage Storage on Request, Health Club. Desk, Smoking Rooms, Complimentary Newspaper, Child Care, Cable/Satellite TV, Reading Lamps, H/C Water, Complimentary Toiletries, Bottled Water in Room, House Keeping. 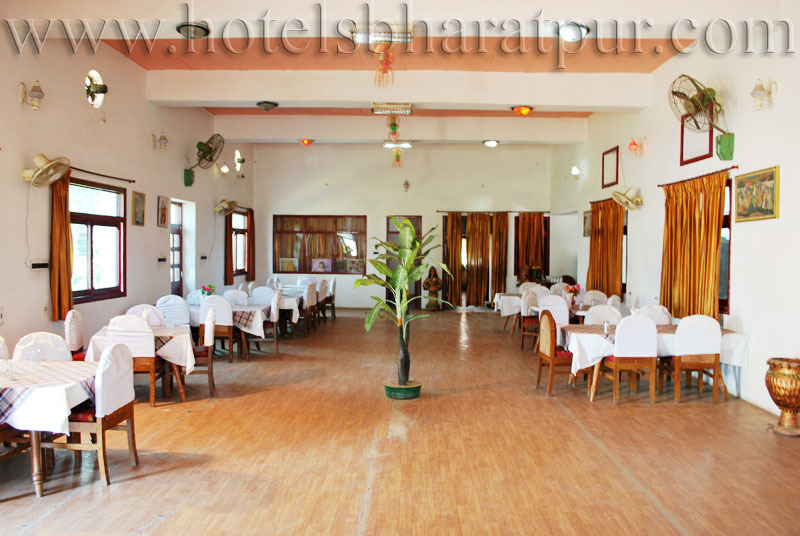 User reviews for "Eagles Nest Hotel Bharatpur"